Includes two housings, mounting bracket kit, wrench, a five micron sediment cartridge and a CTO carbon block cartridge. 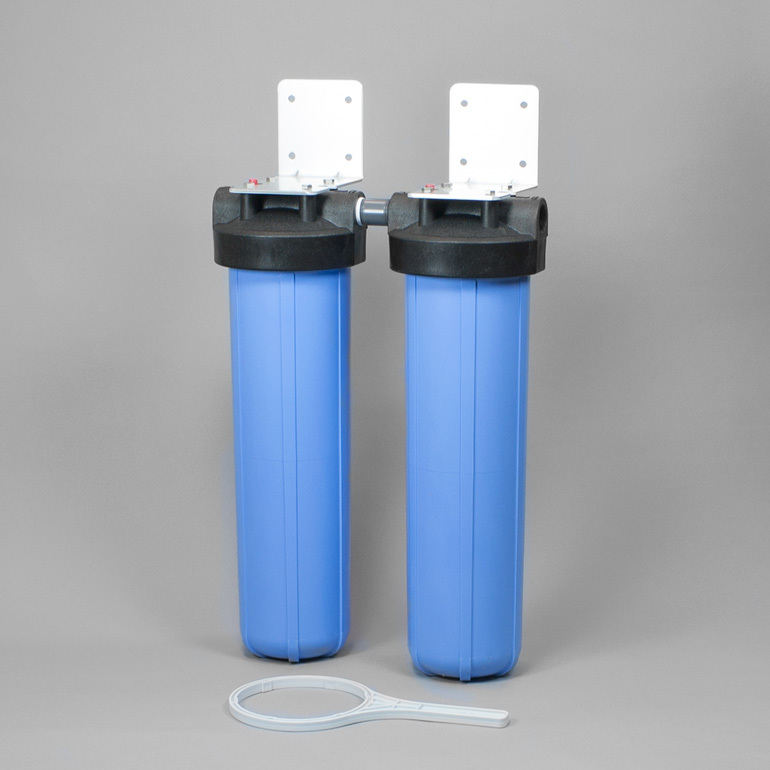 A double system that consists of a five micron sediment cartridge followed by a CTO carbon block cartridge. 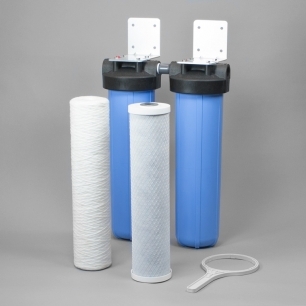 This provides protection for the carbon cartridge from premature failure due to sediment blockage in high-sediment areas. It can be used on either city water systems or wells.